Australia’s favourite hour of inter-generational laughs is back in 2019. 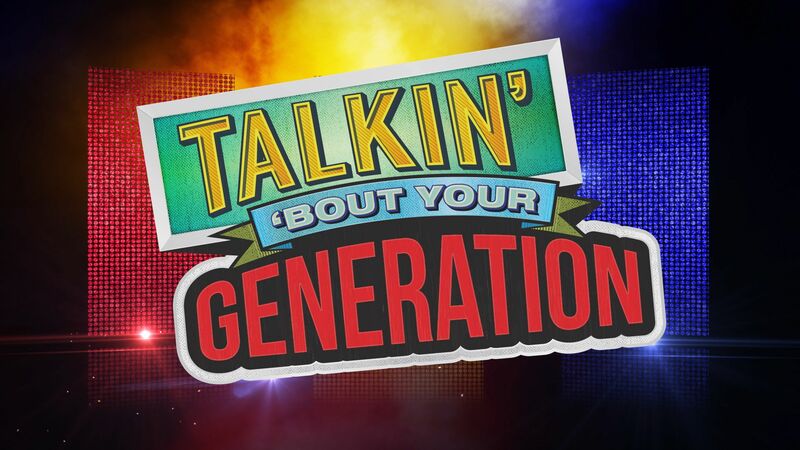 Led by host Shaun Micallef, the weekly TV showgram Talkin’ ‘Bout Your Generation is a riotous, hour-long biffo between three of our most alphabetically delinquent generations – Gen X, Gen Y and Gen Z. Each week our three regular captains – Andy Lee, Robyn Butler and Laurence Boxhall – team up with a trio of celebrity guests to put their lives and credibility in danger while answering questions and playing games that, like a rickety footbridge over an all-ages concert, span the generations. On Talkin’ ‘Bout Your Generation, everyone’s favourite memories and moments from the worlds of film and TV, music, news and current affairs, fads, advertising, sport and more are brought back to life ... not as a zombie in unspeakable torment, but as a helpful ghost offering a guided tour of recent history. It’s a celebration of the generations and what defines them, in a bid to discover which really is the greatest generation of all time (for this week at least). Talkin’ ’Bout Your Generation is produced by ITV Studios for Nine.